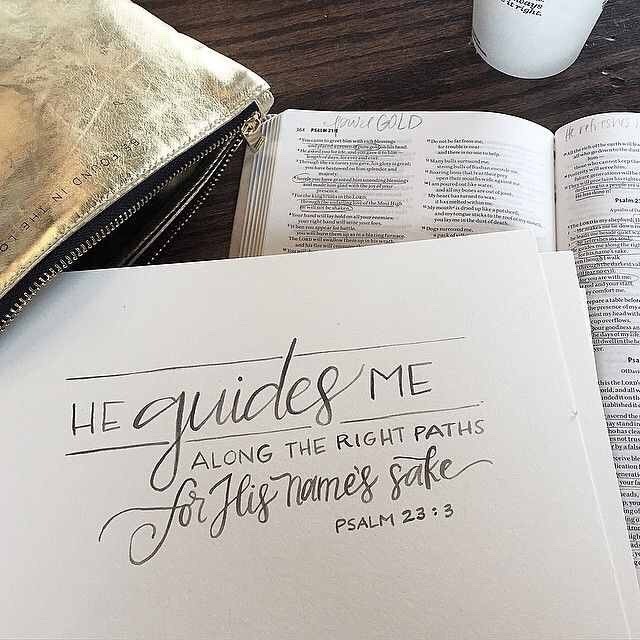 Hand-lettering and Bible study have come together in an outstanding way in the past few years, creating a massive “Bible journaling” trend—and it’s hard to miss on Pinterest and Instagram. I have been warmed to see an outlet that is beneficial both creatively and devotionally. 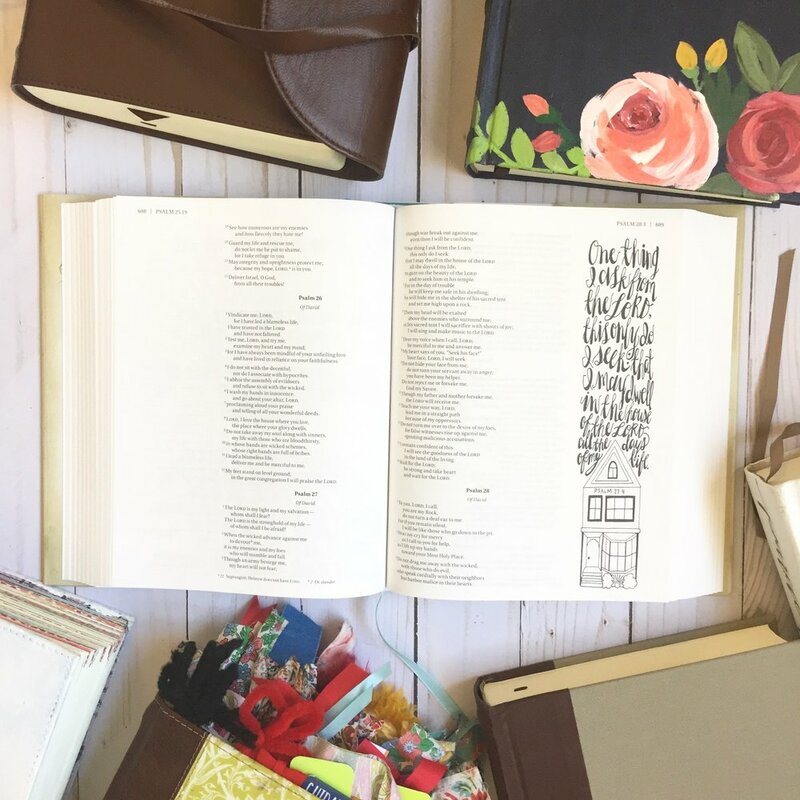 If you’re not familiar with the concept, Bible journaling is a way of hand-lettering or calligraphing a Scripture verse, oftentimes in the margins of the Bible itself. 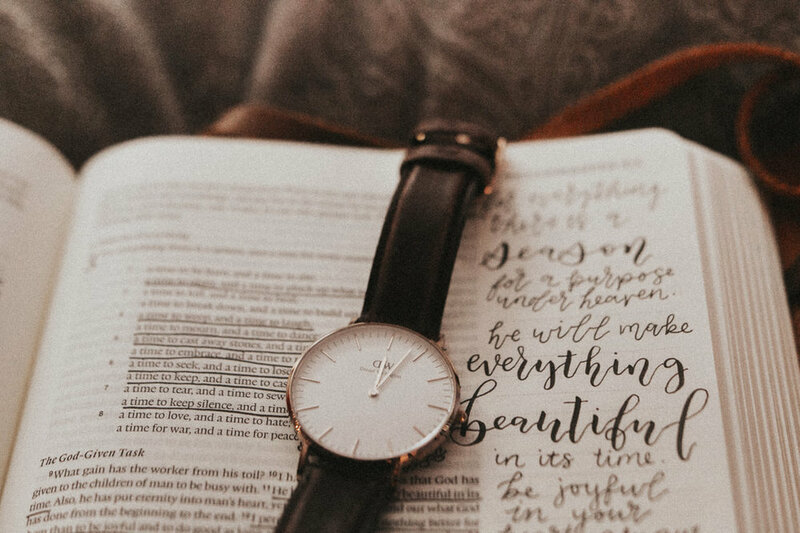 There are now dedicated Bible journaling Bibles for this specific purpose; oftentimes they have more room in the margins, or lots of blank pages to use for this purpose. I approve of the enthusiasm, as I myself have benefitted from Bible journaling. However, I also have experienced first-hand some reasons why Bible journaling, if taken up with very few restraints, cause me to pause. Bible journaling can be a wonderful thing, but an unqualified embrace of it can be dangerous. There is a way to practice Bible journaling that makes it simply about writing pretty things, not absorbing beautiful truths—and when this is substituted for regular Bible reading and prayer, a lettering artist can walk away thinking that they are spiritually fed when they are not. The good news is, I firmly believe there is a way to practice Bible journaling that expresses creativity while honoring God and nourishing the soul. Bible journaling can aid in both memorization of Scripture and meditation on Scripture—but it has to be done intentionally. Sometimes, I will set out to letter a particular verse and get lost in the middle of a word or sentence, writing the same letter twice, or even omitting a word by accident. If I’m not intention, I start to see only the letters and not the words, and certainly not the big picture of the verse as a whole. Being aware of this tendency is the first step to making your Bible journaling time more meaningful and beneficial. Oftentimes, if I am intentional, I really can have the verse memorized halfway through lettering it, and spend the rest of the time thinking about what the verse means, meditating on it. I often repeat the verse to myself over and over again, sometimes even aloud if it will help me focus. Other times, I will take frequent breaks, pausing to review the whole verse. Joel Beeke, who has written extensively on the subject of Christian meditation, said that, “meditation is not repeating a sound, emptying the mind, or imagining physical sights and sensations, but a focused exercise of thought and faith upon the Word of God.” Simply the act of cross-hatching is not in itself devotional, even it is done upon a word that is found in the Bible. It’s the Words and the meaning behind them that matter! Especially when you first start Bible journaling and you love it, I know it’s tempting to make this practice your entire quiet time. But Bible reading, Bible study, meditation, and memorization are all distinct parts of devotional time. While Bible journaling can aid in the latter two, it should not replace any of these components. Meditation and memorization should come after the reading and studying has been done—we cannot meditate on Scripture unless we have read it in context and know what it means, and whether or not it even applies to us! Meditation is meant to get knowledge from the head to the heart, from the intellect to the emotions and will. Without knowledge of what we are meditating on, meditation is unfruitful. At best, meditation without knowledge is vapid. At worst, we take God’s words out of context, and we find ourselves believing promises that God never made to us. Rather than replacing the reading or studying of Scripture, Bible journaling should be a tool to get Scripture into our minds and hearts. I don’t think this means that any of us should abandon it as a component of our quiet times, and I certainly don’t think we should stop lettering Bible verses altogether. However, I think it is important to approach Bible journaling strategically, so that it is serving the purposes of memorization and meditation. This might mean trying out new mediums or styles outside of your devotional time, and relying heavily on your “tried and true” methods for Bible journaling. Letter using alphabets and layouts that you know like the back of your hand, so that you can focus on the truths and not the drop shadows or swashes. Don’t spend the bulk of your time making your Bible journaling look pretty, if it is at the exclusion of soaking in the Word. I can tell you from experience, it is very possible to do both! Don’t discount taking a couple days to quickly read through an entire book of the Bible to get the lay of the land, while marking out passages you want to study and meditate on for later. Reading “en masse” and reading slowly are both incredibly beneficial. While in Bible college, I was required to read through the whole Bible in less than six months. I was not fond of this task. But while it was strenuous and did not afford the absorption of as many details as a slower reading, I felt like I got to see the big picture of Scripture in a way I had never seen it before. Don’t just select verses that stand out to you because they make you feel good or are beautifully written. Select passages that are important to what the author is trying to communicate with the book as a whole—what are the author’s main points? What specifics do you want to remember about this book after you finish? In addition, pick passages that are hard for you to hear, that represent areas of growth for you. Pick passages that aren’t just catchy or heartwarming, pick passages that are good for your soul to memorize and meditate upon. Experiment with both Bible journaling and Bible “mind-mapping.” Unpack every word. Point back to the context, from before and after the passage and from the book’s overall message. Listen to a sermon on the passage while you draw. Read a commentary and write down observations that help you understand the text better. (Matthew Henry is a great place to start, as he is easily understood, and you can access his commentary on the whole Bible for free almost anywhere, because it’s public domain). Find a concept or a term found in the passage, and see where it occurs elsewhere in Scripture—you’ll be surprised at the whole-Bible connections you can make while doing this. Interested in learning how to hand letter for Bible journaling? I have the perfect free resource for you!